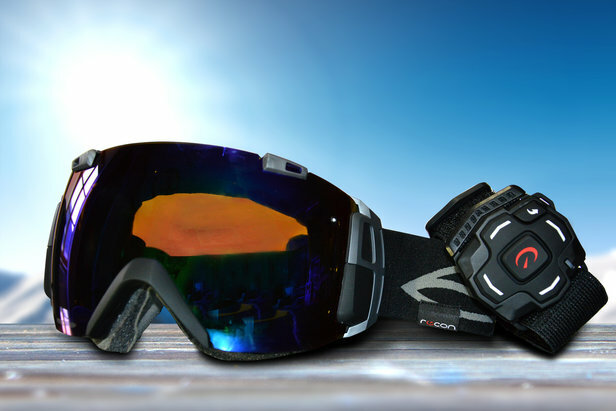 K2 pro skier, Kim Reichhelm knows a thing or two about ski gear. That's why she's constantly frustrated with women limiting themselves on skis that are too short. "I would like to see all women ski longer skis," remarks Reichhelm. "I think the shops push women to skis that are too short. And women sell themselves short." After some resistance to her insistence, her clients always end up preferring the lengthier ski, finding it just as easy to turn fluidly and even more stable and confidence building. Here's some top tips on how to get the correct ski length . . .
1. Unless you are beginner, the ski should at least come to your nose. 2. If you are an advanced skier, it should come to your forehead. 3. If you like to go fast and make bigger turns, go longer. 4. If you like to ski bumps, ski slowly and make a lot of turns, go a little shorter. 5. The fatter the ski gets, the longer it should be. As a point of reference, 5'10" Reichhelm's hard snow skis are 177 cm; her powder skis are 189 cm. "You need a long ski in powder to keep moving," she points out. "In deeper snow you need momentum. Short skis sink and you can’t move." During the demo process, she advises skiers to always try the same ski in different lengths before settling on a purchase. 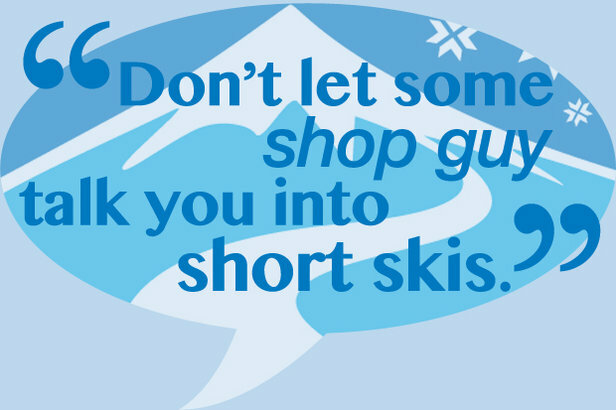 "Don’t let some shop guy talk you into short skis." So now hopefully we'll all be using the correct ski length!